My wife and I share our love of gemstones. What we do we do as a team. My wife and I share our love of animals. 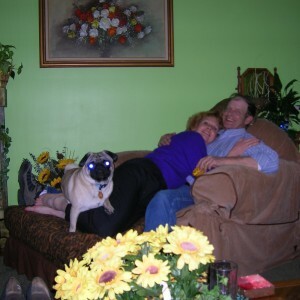 We have a 5 year old pug named “Pugsley” and a rescued cat named “Gypsy. My 4th and last “Passion” is FISHING. My wife actually loves to fish too. This is something we love to do together. My wife and I share our love of animals. 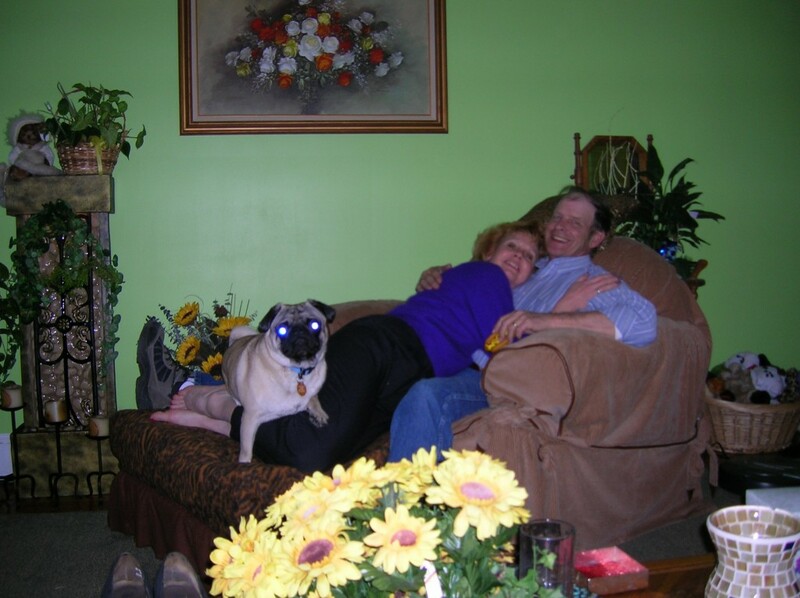 We have a 5 year old pug named "Pugsley" and a rescued cat named "Gypsy. My 4th and last "Passion" is FISHING. My wife actually loves to fish too. We really became interested in gemstones after my wife, Angela could no longer work because of ruptered disc's in her back. 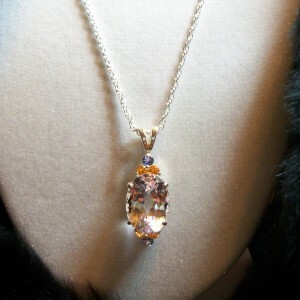 She began to watch a gemstone and jewelry channel during the day to pass the time. Well, when I would walk in the door from work...there was that jewelry channel..speaking of gemstones we had literally never heard of. 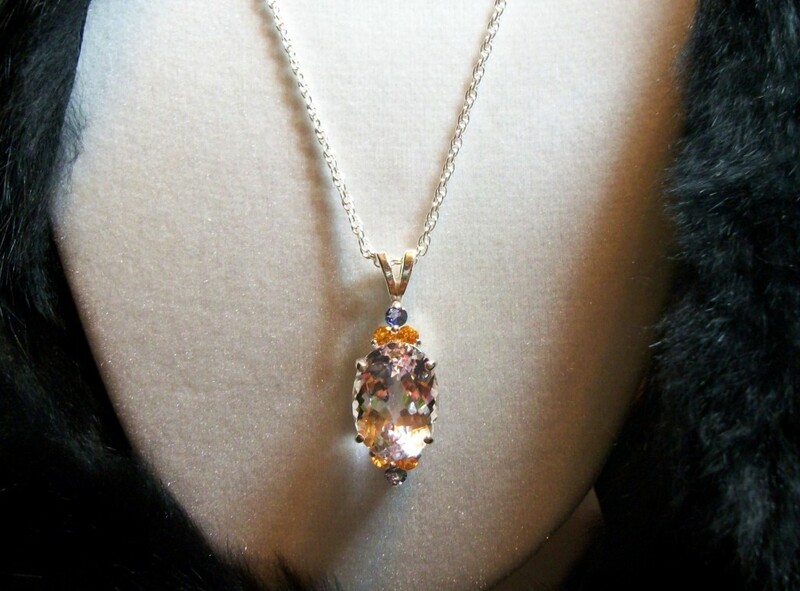 Stones like Kunzite, Morganite, Labadorite, Florite, just to name a few. More than buying anything our eyes were open to a whole new world. A world of really interesting gemstones. 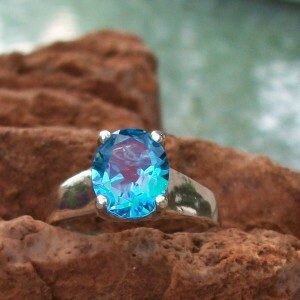 I really surprised myself, when I became as excited about the "gemstones" as my wife. 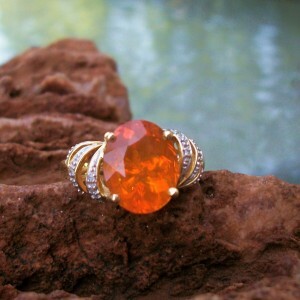 To make a long story short...We ordered our first parcel of gemstones 2 years ago...and never looked back. Our source of inspiration first and foremost is our faith in God. 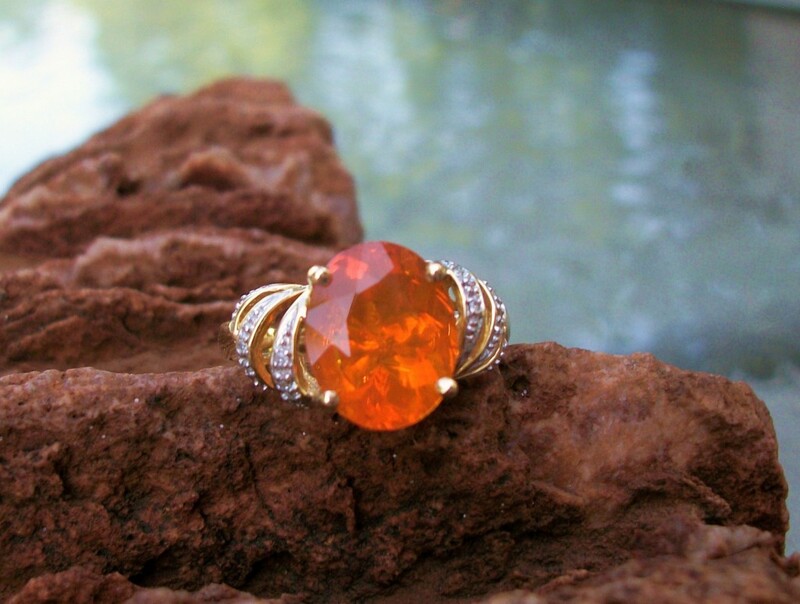 Our secound source of inspiration is the gemstones themselves. This is the beauty part. We have a blast refracting gemstones. When you get a parcel of gems...you really don't know what you have. We're alway's on a treasure hunt. Once we figure out what gemstone is what, it then get's weighed and measured, then recorded. From there we pick out castings and literally hand notch, (that's me) hand set, buff and polish. My wife takes the pictures. We share this "Passion" together. I just recently handset a beautiful 3.13 ct. black Topaz in a gorgeous white gold with diamond accent ring casting. We did not list it here because it needs to be hand beaded...it's not quite ready for it's picture to be taken yet. Not really intending it to be a lucrative business, that happened accidently. Way before we ever thought about selling custom jewelry, I already had a name picked out for our make believe business. My name is Michael, my wife's name is Angela...you guessed it...Michaelangelas. So far, we only have 2 venue's to sell from. First one is etsy. The 2nd one is Zibbet. We're not making a killing yet... We have only been selling on etsy since January 21st of this year. Honestly, after my wife lost her job, she started taking a close look at the jewelry I had bought her over the years. It was horrible, cracked stones, bad color, very included stones. No one ever goes into a jewelry store with a loupe. The jewelry store's count on our ignorance. What I purchased over the years was not cheap!!! He began to mentor me and I took to it like I had been doing it all my life. Did I make mistakes? Yes. Thats how you learn. All we had to do was show friend's and family gemstones and we we're on our way. hmade20 for 20% off your first purchase.